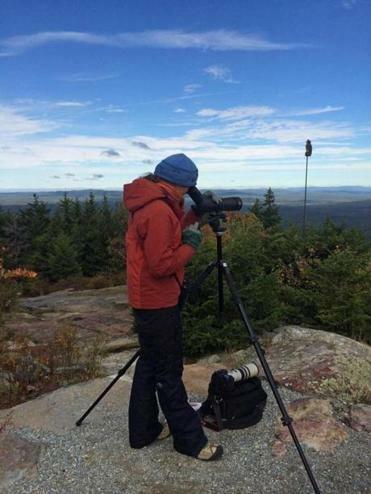 Naturalist Katrina Fenton of New Hampshire Audubon records migrating raptors at Pack Monadnock. PETERBOROUGH — “It’s been a fantastic year for raptors so far,” says Katrina Fenton, an interpretive naturalist with the New Hampshire Audubon, from her perch at the raptor viewing area atop Pack Monadnock Mountain in Peterborough. A tote board reveals that more than 18,000 raptors (and counting) have been tallied at the observatory this year — including broad-winged hawks, American kestrels, and golden eagles — as they migrate from as far away as northern Canada to as far away as South America through mid-November. In early fall, a flash mob of birders shows up for a stretch of about two weeks to see one of Mother Nature’s spectacles: thousands of broad-winged hawks filling the sky at once, rising and dipping as they ride the thermals. Even if you’re not a birder, it’s worth a visit to the little burg of 6,200 souls that Budget Travel magazine has deemed one of the “top 10 coolest small towns in America.” Great hiking trails and snowshoe hikes abound; afterward, wander the shops at Depot Square, grab lunch at a cozy spot, and take home the classic souvenir: a basket from Peterborough Basket Co. The Jack Daniels Motor Inn (80 Concord St., 603-924-7548, www.jackdanielsinn.com, from $119) isn’t fancy, but the location is great. It sits on the banks of the Contoocook River, just a short drive (or long walk) from downtown Peterborough. Rooms are clean and comfortable if a bit dated; Wi-Fi is free and continental breakfast is included. If B&Bs are more your thing, take a look at Little River Bed & Breakfast (184 Union St., 603-924-3280, www.LittleRiverBB.com, from $149). Four guest rooms are set in a beautifully renovated, immaculate circa 1870s home set alongside the Nubanusit River. Each room has a private bath, satellite TV, and queen-size bed; some have gas fireplaces and views of the river. If you’re keen on the charms of an “olde” New England inn, consider the Monadnock Inn, (379 Main St., Jaffrey; 603-532-7800, www.monadnockinn.com, from $110), located at the foot of Mount Monadnock in neighboring Jaffrey. This 1830s property offers 11 unique guest rooms with private baths; not all rooms have TVs. There’s an on-site restaurant, where a country breakfast is complimentary for inn guests, and there is a pub. You won’t have to do much driving to find a good dining spot; most eateries are clustered in Depot Square or at Monadnock Community Plaza. For a hearty lunch, follow the locals into Aesop’s Tables (12 Depot St., 603-924-1612), tucked inside the Toadstool Bookshop at Depot Square. Check the blackboard for daily soups and sandwich specials, or go for one of the massive salads, say, the Androcles ($10.75), chock full of bacon, roasted turkey, carrots, cheddar, and apple slices on a bed of greens with maple cider vinaigrette. It should be a law that every visitor to Peterborough sample one of chef Harris Welden’s restaurants. Both are located in the Monadnock Community Plaza, a strip mall at the edge of town. Welden, a New Hampshire native, creates dishes with a Southeast Asian-fusion tilt at Pearl Restaurant & Oyster Bar (1 Jaffrey Road, 603-924-5225, www.pearl-peterborough.com; entrees $15-$36.) Choose from five oyster varieties from the North Atlantic, plus tasty combos like pan-seared wild salmon with Israeli couscous, and Crazy Chicken, the spiciest dish on the menu (“You’ll either love it or hate it,” according to Welden.) The vibe is more casual at Welden’s Bantam Grill (1 Jaffrey Road, 603-924-6633, www.bantam-peterborough.com; entrees $15-$24.) Painted egg-yolk yellow and decorated with chicken-themed artwork, Bantam is a farm-to-table American bistro with a Mediterranean flair. The scratch kitchen turns out dishes like spicy sausage with handmade farfalle, arancini made with Gorgonzola and bacon, and rich, house-made desserts. For a more straight-up Italian dining experience, try Marzano’s Trattoria (6 School St., 603-924-3636, www.marzanostrattoria.com; entrees $13-$22). Count on classics like “Sunday gravy” with tagliatelle, sausage, pork ribs, and meatballs; shrimp scampi; lobster ravioli; and an array of antipasti and salads. If you’ve somehow skipped dessert, make up for it with a visit to Vicuna Chocolate Factory & Cafe (15 Main St., Sat-Sun, 603-924-2040, www.vicunachocolate.com), a bean-to-bar factory and shop specializing in 70 percent cacao chocolate bars and chocolate chunk cookies flaked with sea salt. 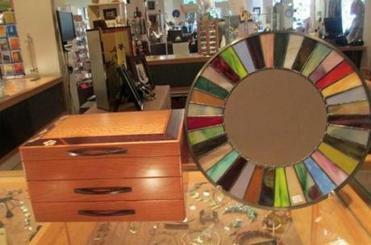 Sharon Arts Downtown has pieces created by more than 180 regional artists, while Peterborough Basket Co. specializes. There’s nearby 3,165-foot Mount Monadnock, but since it is the most-climbed peak in the country, maybe you’ve been-there, done-that. If so, make a trek up 2,290-foot Pack Monadnock in Miller State Park (13 Miller Park Road, 603-924-3672, www.nhstateparks.org, $4 per person). The dog-friendly park offers two trails to the summit, where there’s a fire tower and wide-open views of the surrounding countryside, Mount Monadnock, and — on clear days — the skyscrapers of Boston. The 21-mile Wapack Trail, extending from Mount Watatic in Ashburnham, Mass., to Greenfield, N.H., also traverses the summit of Pack Monadnock. There’s still more hiking at Temple Mountain, the former ski area-turned-hiking zone, and 48-acre Shieling Forest (Old Street Road, 603-431-6774, www.nhdfl.org). If shopping is your idea of sport, you’ll be delighted with the mix at Depot Square, especially when it comes to locally made art and giftware. Browsable shops include Sharon Arts Downtown, featuring the work of more than 180 regional artists, New England Everyday Goods (whimsical and practical artisan-made items), and bowerbird & friends, home to a beautifully composed selection of antiques, gifts, and decor. For unique and gourmet edibles, put Twelve Pine on your hit list. And no stop in Peterborough would be complete without a visit to Toadstool Bookshop, where the selection includes some gently used volumes. Need something to stash those purchases in? The Peterborough Basket Co. (130 Grove St., 603-924-3861, www.peterborobasket.com) has been the go-to place for woven wood baskets (made of American ash) since 1934. 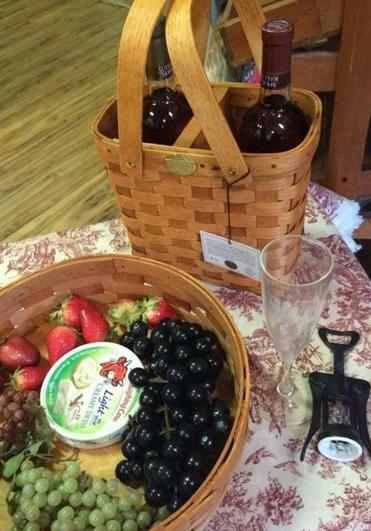 Shop for wine baskets, picnic baskets, bike baskets, and more at the small retail store at the 30,000-foot factory. As the home of the MacDowell Art Colony, Peterborough has long been associated with the arts. It only makes sense that the city would be home to the Mariposa Museum & World Culture Center, (26 Main St., 603-924-4555, $6, www.mariposamuseum.org), a small museum devoted to music and the performing arts. During the summer season, the 18th-century barn at Stearns Farm is the setting for live theater — including world and regional premieres — presented by the venerable Peterborough Players (55 Hadley Road, 603-924-7585, www.peterboroughplayers.org), featuring seven main stage productions and two shows for children. From October through May, the 250-seat theater broadcasts shows from the Metropolitan Opera and London’s National Theatre on a big screen. The venue is also home to the Peterborough Folk Music Society (603-827-2905, www.pfmsconcerts.org). The group hosts a series of live concerts and events; upcoming shows feature Christine Lavin and Don White, and Grammy winners Trout Fishing in America. Or simply drop into Harlow’s Pub (3 School St., 603-924-6365, www.harlowspub.com ). There’s live music most nights, and character to spare at this low-key local hot spot. Currently, there’s Celtic music on Tuesday, open mic on Wednesday, bluegrass on Thursday, and danceable live music on Friday and Saturday. They serve lunch and dinner too. Peterborough is about 75 miles northwest of Boston. For information, visit peterboroughchamber.com.